Max Payne 3 is Prepared for Launch: Latest Rockstar release Max Payne 3 releasing the trailer of the game. The video lets you see new images of the title, which hits North America on May 15 and 18 of the same month in Europe. This trailer allows you to check that the game will keep the action and cinematic elements that made famous the previous installments. The newest trailer for Max Payne 3 again presents a protagonist obsessed with his past. Max Payne moved to Brazil, not to mention his native New York in this new release. The protagonist will face new threats and challenges, but our philosophy. Rockstar has developed this new installment in the saga begun by Remedy Games, known for maintaining the values ​​of game highlights and substantial improvements. In this video you can see that Max Payne 3 will feature a graphical development of art, bringing to the franchise to new heights. The action will remain the game’s protagonist, who live in the whole transformation from Max Payne, which will be explained with references to his past. Max Payne 3 is also notable for introducing the multiplayer in the series. Rockstar has confirmed that the title will allow users to enjoy a game mode Multiplayer promises to elevate the series to a new level. 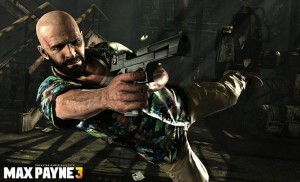 Users can enjoy Max Payne 3 from next May 15 in North America and 18 of this month in Europe. Max Payne 3 will be available for PlayStation 3, Xbox 360 and PC.